All kinds of professional studios can build sophisticated and professional looking websites on Joomla without a big budget. Joomla Theme developers have created a great variety of responsive Joomla themes for use by yoga and fitness studios, dance studios, photography studios, fashion and model studios, etc. The best of these offer a good blend of creativity and functionality. Modern Joomla Studio templates must have a responsive layout so that they look great on any device. The following templates offer some of the best features. 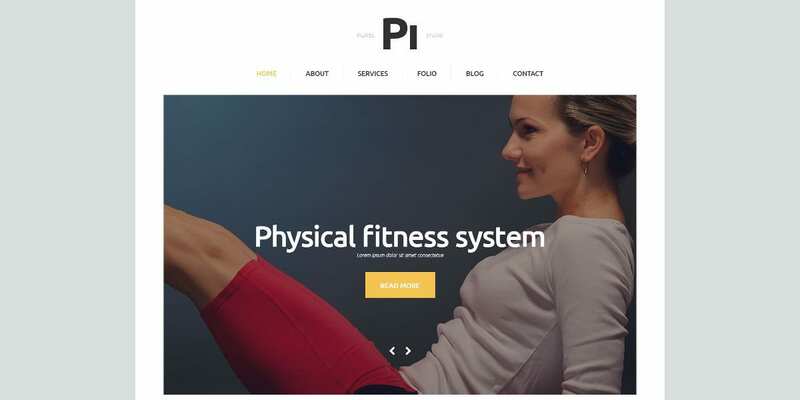 Sport Responsive Joomla template is a clean and elegant fitness studio template with a hundred percent responsive layout. It has a 1980px width and is Bootstrapped. It has been built with CSS3 and HTML5, and an 1170 grid system. It comes with a powerful admin panel, SEO friendly design and features like advanced theme options, sliced PSD, sortable gallery and more. 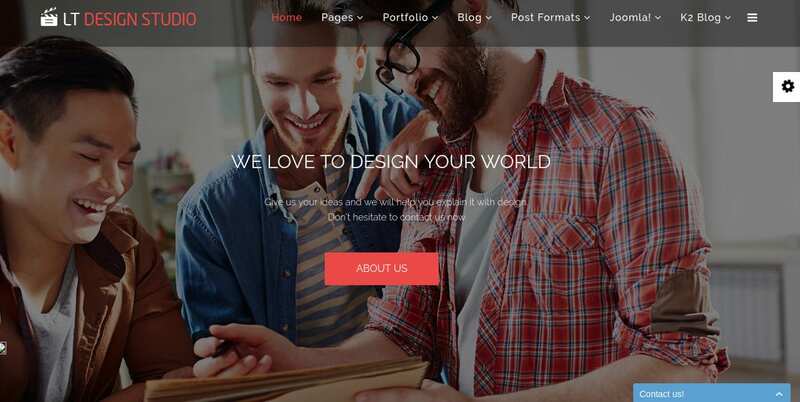 RockoX is a one-page parallax theme for Joomla that can be adapted for any creative studio. The theme offers several light and dark layouts that you can enhance with a number of jQuery and CSS animations. Add a slider and background video, create a standalone blog page and more with this colorful and eCommerce-ready template. Yoga Studio is a refreshing and light template that is completely uncluttered and suitable for yoga studios and practitioners. It is a fully responsive theme with a Komento comments section, relaxing green and white headings, small icons, lightly textured background and other inspiring features that will make your audience’s browsing experience perfect. 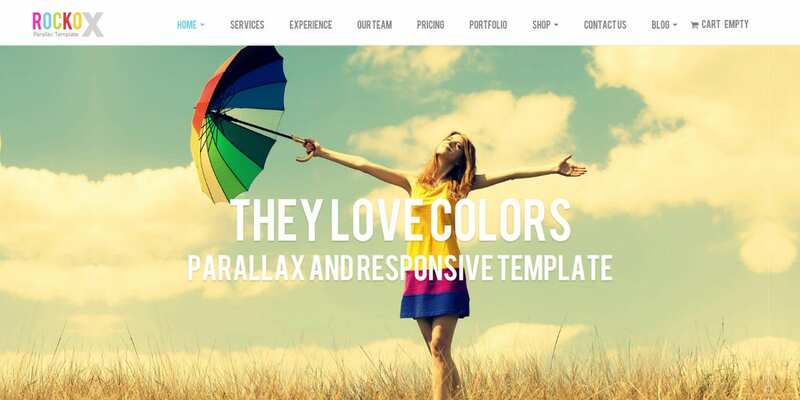 Effecty is a single page and fully Responsive Theme with a light, bright and stylish design. It is based on the Twitter Bootstrap grid system that will allow photo studios, small agencies, freelancers, and small businesses to showcase their work or services. It has a highly responsive design and includes the revolution slider, K2 for blog support, three types of slideshows, retina ready icons, RTL support, revolution slider and more. Dance studios can showcase their services through dark and vivid themes like Dance Studio Responsive Joomla template. The theme is easy to download and quick to install and customize. Features include animated portfolio with filters, custom page types, advanced commenting system, isotope gallery, Camera slideshow, Articles single, Articles Newsflash, and a powerful admin panel to control all these elements. Fashion studios and model agencies will like the dark theme called Michael Studio that has been built on the Bootstrap framework. This means, websites built on the theme will be fully responsive across devices and aspect ratios. Features include 19 module positions, over 50 Google fonts, sidebar configuration parameters, built-in masonry gallery, AS art slider, Phoca gallery and more. The excellent Creative theme for designer web studios has several things going for it. It is clean and simple but offers 10 module styles, extended typography and extensions like YJ News Pop, YJ Module Engine, K2 and YJ Plans Extended. It runs on the YJ Simple Grid framework and the advanced creative template manager lets you customize your template easily in a beautiful accordion-style system. Wedding photography studios and other similar studios will love the romantic and vintage color scheme of the Photography Joomla Template. The theme comes with a fully responsive layout and features like K2 component, gallery and blog templates, Favicon support, dropdown menus, social options, sortable gallery and more. The theme is presented in 2 columns and has been built on the Gantry framework. Design Studio Joomla template uses trendy colors and a clean, uncluttered layout for maximum effect on larger screens as well as mobile devices. The theme comes with a MegaMenu for offering visitors professional navigation. You don’t need coding knowledge to customize the menu. Parallax effects will add interest to your website and the theme color switcher makes customization easy. 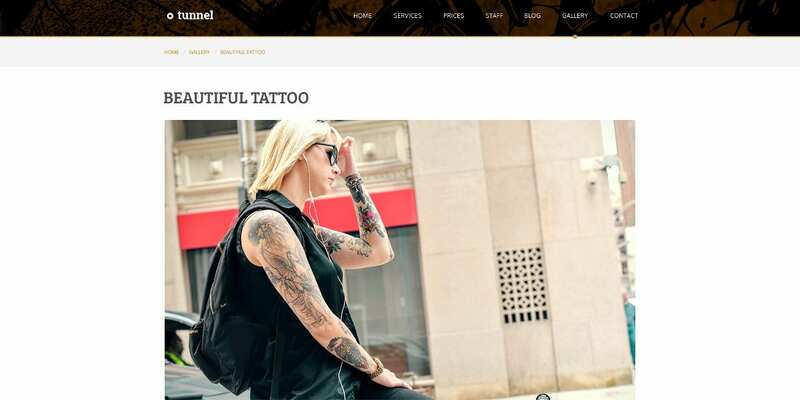 Tattoo studios can make their website all about their artwork with the Tunnel theme for modern tattoo and piercing studios. The template has been very well organized in PSD layers and is easy to customize. It is based on the 1200px Uikit grid. The PSD template can easily be converted to Joomla. Features include modern homepages, sample pages like Gallery, Blog, Services, etc. 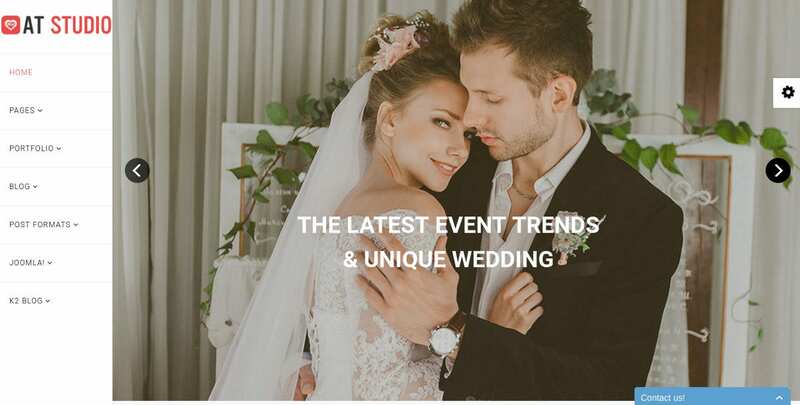 Wedding photographers, planners, and consultants looking for a romantic theme can try the AT Studio Team Joomla template. The template has been built on the powerful Bootstrap 3.2, making it highly responsive. It has a minimal and clean appearance and includes features like an off-canvas menu, MegaMenu, Font Awesome icons and menu items, advanced typography options, page title options and more. Interior designers also have custom-built Joomla themes for their profession. 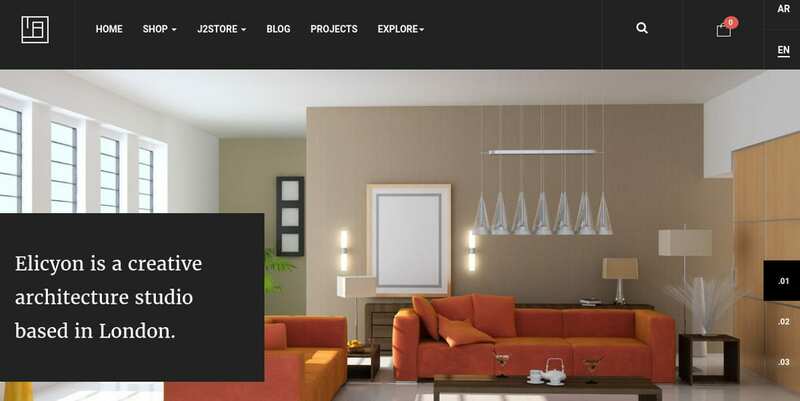 JA Elicyon is an eCommerce ready Joomla theme for interior design shops. It comes with support for Joomla VirtueMart Theme and makes it easy to follow up with customers via email extension Acymailing. The theme has been built on Bootstrap and T3 Framework, which makes it highly responsive. Design studios, ad agencies, and other creative studios can get a professional website set up within minutes for free with the LT Design Studio template. The theme is a responsive and professional template based on Bootstrap. The powerful template lets you recreate your website with unlimited module positions, drag and drop layouts, strong shortcodes, and four color styles. Many Joomla studio and Joomla Photography Website Templates seem to resemble other similar templates, and this is not a bad thing. The high demand for mobile-friendly templates means that certain features such as homepage sliders and grids are going to look similar across many templates. With these templates, small businesses and studios can create quality websites without having to hire a web designer for custom building a site.